Jacqueline studied History at the University of Leicester specialising in the Wars of the Roses. She has a Masters Degree in Art History from Birkbeck College, University of London specialising in eighteenth-century British Art and Architecture (Dissertation: Susanna Highmore Duncombe, 1725-1812) and a PhD in Art History from the University of York. The subject is the British painter Joseph Highmore (1692-1780). Jacqueline began her career as a junior curator at the V&A’s Theatre Museum in Covent Garden, then as a volunteer curator at the Guard’s Museum, Wellington Barracks, followed by two years at the Tate as the registrar managing the annual rehang at Millbank (now Tate Britain). After this she spent 5 years as Assistant Curator of the Palace of Westminster (Houses of Parliament), advising the House of Commons and Lords Art Committees and the Speaker, organising exhibitions including “From Walpole to Pitt” and managing a collection that is dispersed throughout the palace and parliamentary estate. From 1999 to 2004 Jacqueline was Director of the Handel House Museum, leading a successful Heritage Lottery Fund bid, the restoration of the Grade I&II listed buildings, setting up the museum’s operating systems, programming, loans, displays and exhibitions. It opened in November 2001 and Jacqueline led the new museum for three years. 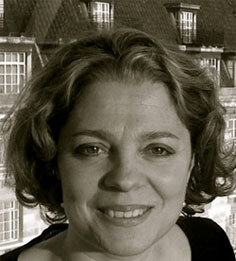 In September 2004 she left to join the first cohort on the Clore Leadership Programme. She is a fellow of the Clore Leadership Programme, Stanford Graduate School of Business, the Windsor Leadership Trust, The Society of Antiquaries of Scotland; Honorary Research Fellow, History of Art, Birkbeck College; trustee of Turner’s House In Twickenham and the Jacobites Studies Trust; Committee Member of the Society for Court Studies, and formerly an independent member of the Audit and Compliance Board Subcommittee of the National Portrait Gallery, London. Jacqueline have been a consultant since 2005 and has been represented by Bill Hamilton (A M Heath Literary Agency) since 2008. Her current project is a biography of William Hogarth (Head of Zeus, 2020).